UK – Independent freight forwarding and logistics provider Davies Turner, has announced John Adams to its Ocean Management Team as Head of Trade for Middle East, Indian Sub-Continent, South Africa, and emerging Markets. 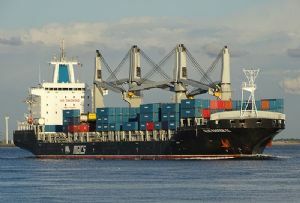 Adams rejoins the group following seven years at container shipping giant, Mediterranean shipping Company (MSC) and is replacing Todd Moore, who retires this month. Previously, Adams spent five years at Davies Turner in a sales development role. DENMARK – The 'bits and pieces' of freight and logistics items you might have missed this week start with the news that the European Maritime Safety Agency (EMSA) has supplied a 'sniffer' drone which began operations last week, flying over an area north of The Great Belt, where many large tankers pass when going to and from the Baltic Sea. The drone is checking emissions from vessels in Danish waters to make sure they comply with the sulphur limit. 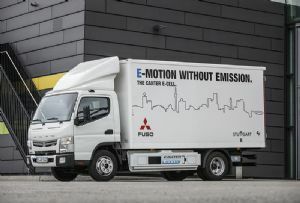 UK – The National Infrastructure Commission (NIC) has released a new report which recommends that Ministers should ban the sale of new diesel HGV lorries by no later than 2040, news that has split the opinions of key industry associations. The report, 'Better Delivery: the challenge for freight' looks to ensure the UK's logistics industry is fit for the future to better cope with a growing population and increasing demand for goods, leading ultimately to dire effects on the environment, particularly with reference to HGVs and the road haulage sector. 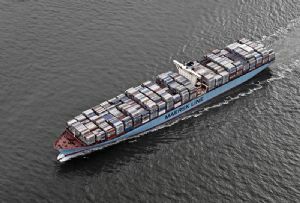 WORLDWIDE – After gaining regulatory approval from the Federal Maritime Commission (FMC) last month, four container shipping companies, Mediterranean Shipping Company (MSC), Maersk, Hapag-Lloyd and Ocean Network Express (ONE), have officially established the Digital Container Shipping Association (DCSA) last week in Amsterdam, the Netherlands. The aim is to create common information technology standards to make the ocean freight transport industry more efficient for both customers and shipping lines. PLANET EARTH AND BEYOND – Time was when the S.S. prefix for a vessel meant steamship. No longer. 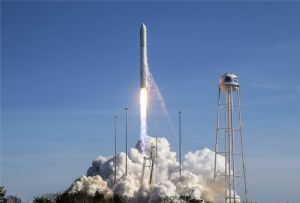 This week the Northrop Grumman Corporation successfully launched its AntaresTM rocket carrying a CygnusTM spacecraft, named S.S. Roger Chaffee from the NASA's Wallops Flight Facility on Wallops Island, Virginia. 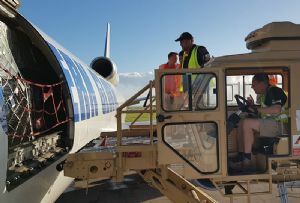 This was the 11th cargo mission carrying supplies headed for the astronauts manning the International Space Station, and a new development enabled the 24-hour late load of critical freight. SOUTHERN AFRICA – The essential nature of logistics could hardly be summed up better than the efforts to mitigate the tragedy of cyclone Idai, which damaged over 700,000 hectares of crops, and destroyed close to 200,000 homes, by those from the freight community like Danish freight groups DSV and German Deutsche Post DHL (DPDHL). NETHERLANDS – WORLDWIDE – With the incoming measures to restrict emissions from transport of freight by land and sea with Low Emission Zones springing up everywhere, the incoming sulphur cap on marine fuels etc. the next target will surely be the pollution from aviation and air cargo will be a part of that initiative. Around 2-3% of human produced CO2 comes from aviation. 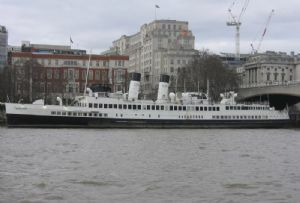 UK – Few vessels have such a chequered, or honourable, history as the former pleasure steamer TS Queen Mary. No, not that one, although she has carried royalty, this is the vessel built by the William Denny & Brothers yard in 1933 which gave up her name when her more famous cousin was constructed, becoming Queen Mary ll for a time before reclaiming her original title in 1976. 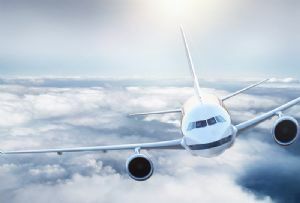 RUSSIA – CHINA – Atran Airlines, the Russian air express carrier within Volga-Dnepr Group, has launched a new route linking Xi'an, China, with Moscow, Russia. 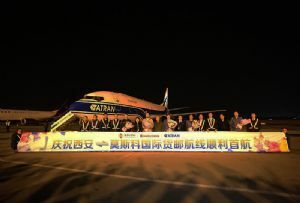 The first flight was operated by one of Atran's Boeing 737-400SF freighters with further plans for Boeing 737-800BCF deployment to be able to guarantee up to 23 tonnes of cargo capacity per flight. The first flight was operated with the support and cooperation of Russian Post. 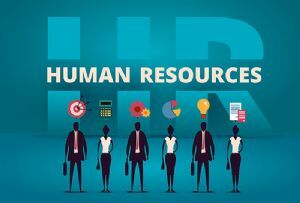 WORLDWIDE – With mental health one of the issues of the moment maritime charity Sailors' Society is petitioning the International Labour Organization (ILO) to make wellness training for seafarers mandatory in the Maritime Labour Convention (MLC). 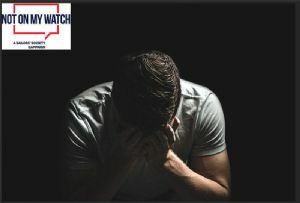 The petition is a key part of the charity's 'Not On My Watch' campaign to combat suicide and depression at sea. The campaign is also calling on maritime companies to donate to the charity's work with seafarers struggling with depression and to run wellness training for their staff.